Moving files from one computer to another has been essential since the start of computing. 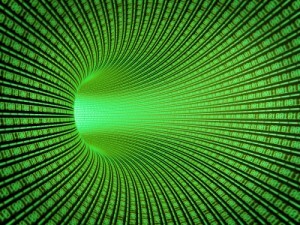 Once we were able to connect computers via network protocols and cables, we worked to find ways to send data and files back and forth across the network connections. Thus, FTP was developed specifically for this. FTP also allowed programmers and system administrators to begin writing scripts to automate transfers based on some event that occurred in software applications. Of course, once the Internet came along, businesses found more reasons to exchange files with their business partners and an FTP solution became an everyday necessity. Early users of the Internet were universities sharing information that was freely available to the public. But as businesses began using the Internet, the culture of data security changed. Sending files to trading partners including confidential transactions and detailed customer information were becoming daily events. In response, hackers expanded from hacking into computers connected to the Internet to plucking confidential data from the streams now traveling across the public network. Network firewalls were developed to block hackers from access to individual networks, but the FTP protocol and its problems remained essentially the same. The flaws with standard FTP soon became obvious. To better secure file transfers, more secure protocols such as SFTP, FTPS, HTTPS, and PGP were developed for Internet file transfers. While these protocols allow greater protection for confidential data, many businesses and organizations still lack the understanding and the expertise to properly manage all of the processes that each of these methods involve. Some have turned to free PC-based tools like as Filezilla and CoreFTP, but most organizations that do regular file transfers need a much more robust way to manage these critical processes. This need trigged the development of what are called "managed file transfer (MFT)" solutions that help IT staffs confidently manage and secure the file transfer process. In particular, these MFT products make it easy to set up and manage FTP workflows that can be scheduled, automated, and logged with alerts for successful and/or failed connections and transmissions. A flexible MFT solution, like GoAnywhere MFT, will work on most databases and run on multiple platforms. So from the early days of sending files through rudimentary network connections to the fast-paced Internet driven business processes of today, finding the right FTP solution for your organization is more critical than ever. Your customers, trading partners and compliance auditors are depending on you. Are you making the switch from FTP? Protect your file transfer communications. GoAnywhere MFT helps IT and security professionals automate, streamline, and safeguard traditional SFTP and FTPS data transmissions, as well as provides a safe, audited method for automatically transferring files in- and outside an organization. Explore how GoAnywhere MFT can benefit your file transfers in this on-demand webinar.